Hi again! We are Coronado’s Pool Renovations, Inc. If you haven’t heard of us before, we are a small, family-run business that specializes in all types of pool remodeling and renovation. We are local, East Goshen pool plastering experts with over 25 years of experience working with homeowners and business owners alike on their pool renovation projects. We take immense pride in the beautiful homes and pools in our community, and we love building long-lasting professional relationships with our clients. The last few decades have taught us that dependable service and gracious warranties are a certain path to success, and our customers value our consistently solid reputation. If you need a job done right, done fast, and done affordably, there is no better choice than Coronado’s Pool Renovations. How Do We Assist Contractors? It isn’t only direct customers that we do business with, though. We work with other contractors as well! As plastering specialists, we can come in at the request of either homeowners or contractors to supplement a team on any local renovation project. We provide top technology and craftsmanship in tiling, coping, finishing and plastering. If you currently have a job, as a homeowner or contractor, that requires assistance in any of those areas, we would love to come in and help the existing team finish the job strong. 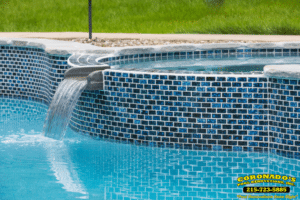 We have a wide array of pool tile and coping options, as well as plaster and aggregate finishes, to bring the next level of customization and quality to your swimming pool. For more info on our plastering assistance, please visit the Pool Contractors page on our website. Are you a contractor in need of a plastering expert to help with the final few stages of an installation or renovation? Are you a homeowner who has hired contractors, but wants specialists to provide a finishing touch to your project? Have any other pool care questions or needs? Contact Coronado’s Pool Renovations today and we can provide you with a free consultation along with an estimate for your renovation task!